For Dan Bell, it all started with his childhood mall in Maryland. After the teens had gone, after the food court had closed, after the shops had shuttered -- what had happened to it? "I think malls became sort of that everyday thing that we did. We didn’t think, 'Maybe we should, you know, take pictures.' I don’t think anyone really thought of that," Bell told ABC News. "I started to look for stuff about Jumpers Mall and there’s nothing. There’s no pictures, there’s no video or anything." So in 2015, Bell created the "Dead Mall Series" on YouTube, inspired by his own experience and witnessing an increase in deserted malls all over America. "My thought was I wanted to archive malls all across the country that were closing down," he said. "I want people to feel like they’re walking through the mall and that’s kind of where the whole thing came from." Shuttered stores dominate the interior of the Schuylkill Mall on May 17, 2017, shortly before its closing in Frackville, Pa. 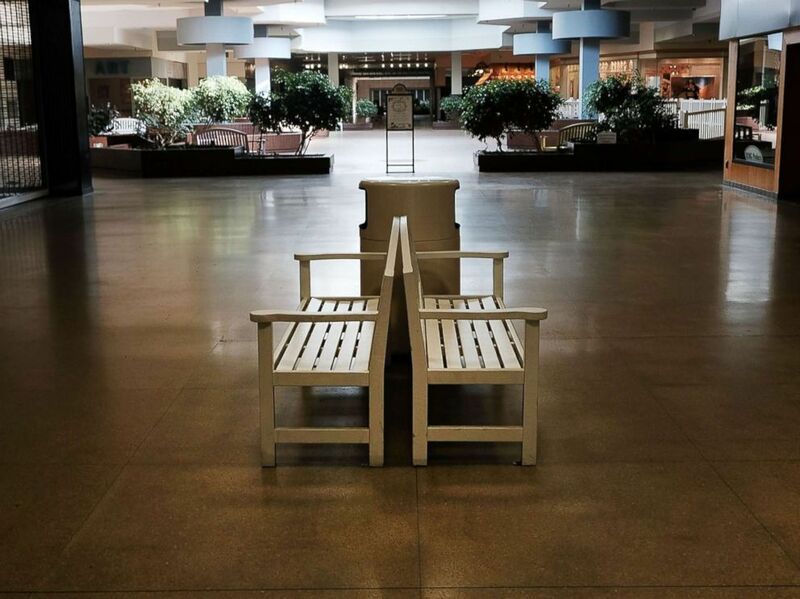 The term "dead mall" was coined to describe indoor shopping centers that were once lively and full of activity, but now sit virtually empty with no customers or have been closed entirely. Bell isn't alone in his interest: there are social media groups and websites dedicated to tracking and discussing the health of America's shopping malls. About a quarter of all malls will shut down by 2022, a report by financial services company Credit Suisse predicts. The rate and reasons why are still being researched, but the rise of online shopping undoubtedly plays a major role. "E-commerce is certainly a growing force," Drew Myers, a senior consultant at real estate data provider CoStar, told ABC News. But "[it] is a player in conjunction with other headwinds," he added. Another factor are the big department stores that have always anchored in malls are struggling themselves. In October 2018, Sears filed for Chapter 11 bankruptcy, announcing plans to close 142 stores. Earlier this year, another anchor store, JCPenney, said it would cut nearly 5,500 jobs and close 47 stores. Mall heavyweight Macy's announced it would shut down stores and test using smaller sites in order to save money, the Wall Street Journal reported. 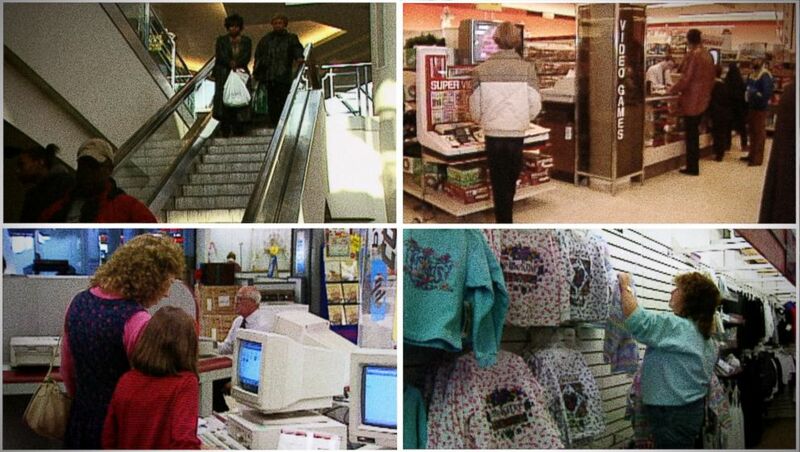 Scenes from a mall through the years. The overbuilding of malls during their cultural heyday weighs heavy on the industry, too. "Malls were a very fragmented industry on the real estate side," Jeffrey Donnelly, managing director of Wells Fargo Security’s real estate and lodging equity research department, told ABC News. "Lots of developers came to one city and wanted to be the one. They kind of cannibalized themselves." But certain types of malls are reportedly fairing well even as other types struggle. "It’s important to remember that there are plenty of good malls out there. Performance is bifurcation," Myers said. A different take on the mall, known as "lifestyle centers" -- walkable, outdoor communities with a mix of retail and residential development -- is also on the rise. “People are getting bored with standard fare. They want something different,” Mark Bulmash, senior vice president of development for the Howard Hughes Corporation, told ABC News. "And I think there’s going to be an opportunity for some of these properties that had great locations -- they were great real estate -- to be re-thought and re-imagined as these very vibrant places that will be multi-use and mix-use," he added. With indoor malls once serving as community gathering places -- especially for teens -- the nostalgia from Bell’s videos is palpable. Bell said across his social media channels, he has around half a million subscribers, many of whom are passionate about his mission. "This is so sad, I use to hang out there as a teenager," one comment reads under a video posted by Bell. “WOW!!!! It doesn’t get any more 1980’s than this!” another posted. 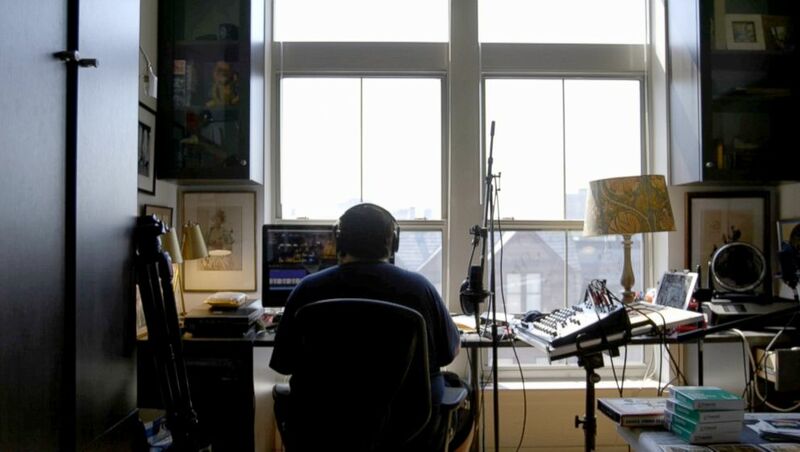 Dan Bell works from his home edit suite in Baltimore, Maryland. Bell likened people's fascination with dead malls to their fascination with the Titanic. "The Titanic was this gorgeous ship, it was beautiful, it was fancy dinners, all this kind of stuff," Bell said. "And then it hit an iceberg and sunk to the bottom of the ocean. It’s kind of like the malls are now at the bottom of the ocean." Like any traditional explorer, Bell typically travels with a trusty toolkit, including undercover sunglasses. "You can’t just walk in with like, a big camera because, obviously, these places don’t allow filming," Bell explained. "I started with these," he jokingly demonstrated, "which makes it look like I’m sportfishing." 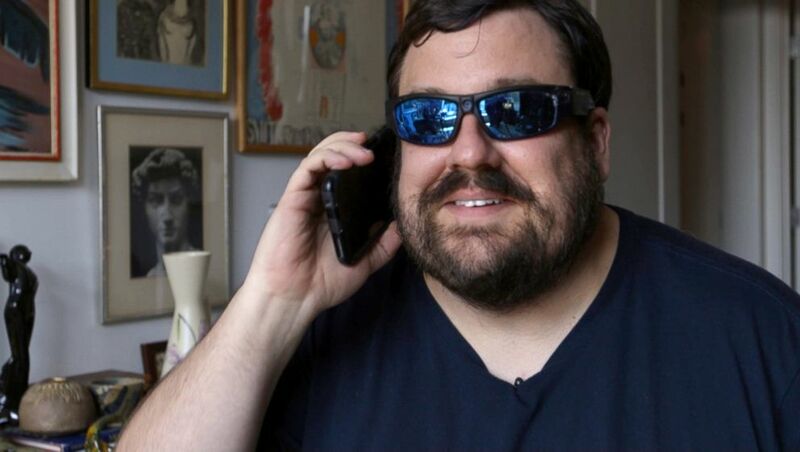 Dan Bell demonstrates how he uses undercover glasses to film in malls. The space where Bell’s beloved Jumpers Mall used to be in Pasadena, Maryland has since been converted into two stores, one selling furniture and another selling baby supplies. Only a few small hints of the old mall remain. The skylight from the mall’s old food court shines down onto a sofa showroom now. The terracotta tiles from the mall’s interior still cover the floor under dressers and armchairs for sale. "I think people my age see these videos as sort of a time capsule," said Bell. "I feel like my work isn’t done." Before leaving the site of the old Jumpers Mall, Bell digs out his camera and takes a shot from the parking lot. The Polaroid clips, whirs and grinds, eventually spitting the image out. "I am becoming obsessed," he joked. "I really am."